Returning the result of a long-running function at a later time is an important aspect of programming. A lot of high-level programming languages have the asynchronousity build in (e.g. C# with delegates) or it’s part of the language nature that it even leads to a callback hell (Node.js). Java/Android doesn’t have first class support and has to rely on callbacks via interfaces. In this tutorial, we’ll take a closer look what they are and how Retrofit utilizes them. Hopefully this quote explains fairly well what callbacks are and how we use them in programming. Retrofit doesn’t make any phone calls, but has to fulfill a very similar function: network requests. Because those go to a server somewhere on the Internet, there is no guarantee if and when we’ll get a response. Thus, it makes sense to start the request (phone call) and rather take a notification when the response (answer phone call) is available than wait for the result. This is important on Android in particular due to the fact that Android 4.0 or newer crashes the app when you execute network operations on the main thread! You’ve to move to some kind of asynchronous model. Unfortunately, there are not that many options on Android. Java doesn’t support lambda expressions or method references until Java 8. You, me and all of the Android developers won’t be able to use those for a long time. Thus, there’s currently only one common way of implementing callbacks: via interfaces. However, we’ve noticed that the query is not very fast and takes a couple of seconds, which causes a noticeable UI freeze. It’s time to fix that by changing to an asynchronous model! The new approach is the following: we’ll request the data from our database module and instead of blocking everything until we get a response, we’ll just update the data when we get the data asynchronously at some point in the future. Hopefully this example made it clearer how you can implement callback interfaces in Java and what elements are necessary. You’ll see them again in the next section, when we talk about the Retrofit callbacks. Due to the nature of mobile networks and the Internet, there is no guarantee of knowing when a server responds to your request. As explained earlier, callbacks are the only way of implementing network requests, if you start them on the UI thread. Consequently, Retrofit (and every other request library) utilizes callbacks. Let’s look at them in more detail. The Call class is the starting point for every network request with Retrofit. Usually, you’ll want to execute the request asynchronously with the enqueue method. The method expects a typed implementation of Retrofit’s Callback class, which expects the implementation of two methods (onResponse and onFailure). We won’t go into more detail what those two methods mean, you can learn about them in our getting started with Retrofit tutorial. Retrofit uses two different callback methods for the two possible outcomes of a network requests: either a failure or a successful request. Retrofit will call the appropriate callback method depending on the result. If the request was successful, Retrofit will also pass you the response of the server. Fantastic! In this tutorial you’ve learned a lot of background on callbacks and how they’re implemented in Java. It’s necessary to comprehend the logic behind Java’s callback interfaces. You’ve seen the components in action in our Future Studio University admin app. 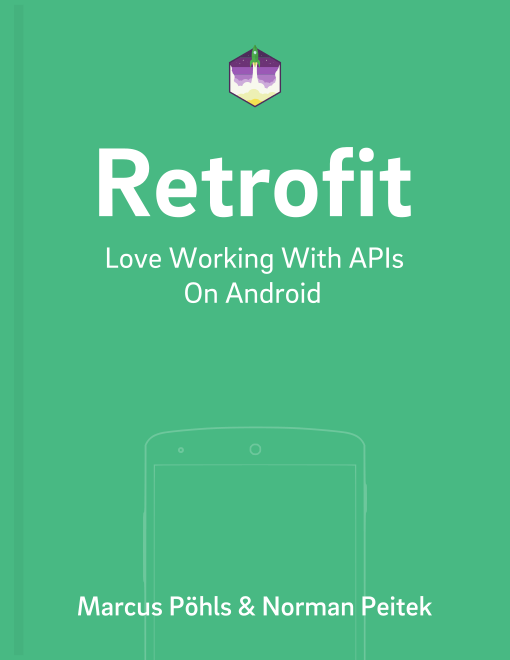 Afterwards, you’ve gained a deeper understanding in Retrofit’s callbacks. If you’ve feedback or a question, let us know in the comments or on twitter @futurestud_io.